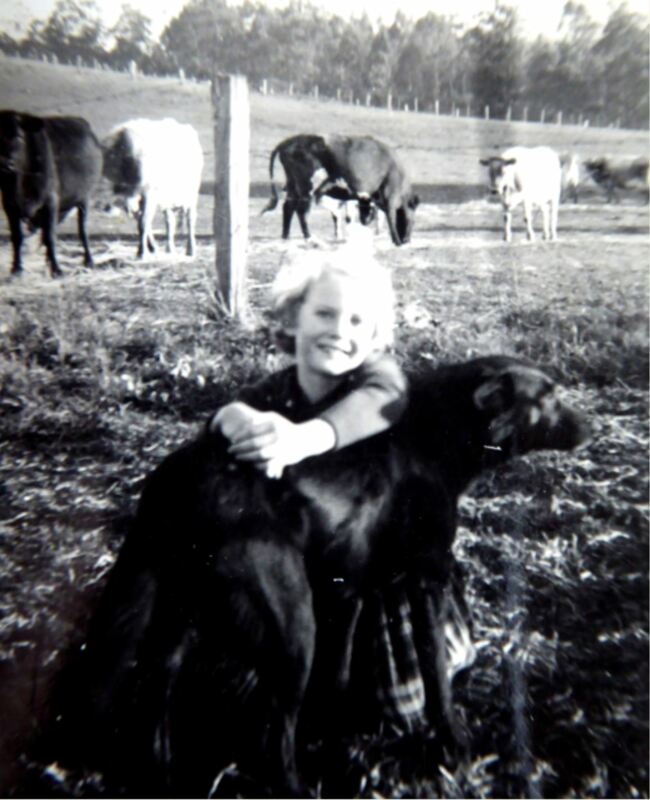 There was a large gravel pit on the dairy farm I grew up on outside Ulverstone, in north west Tasmania. I don’t think the income from it was huge, but it must have been a big help to my parents when they bought the property in 1952. At one point a gang of council workers camped on the farm. 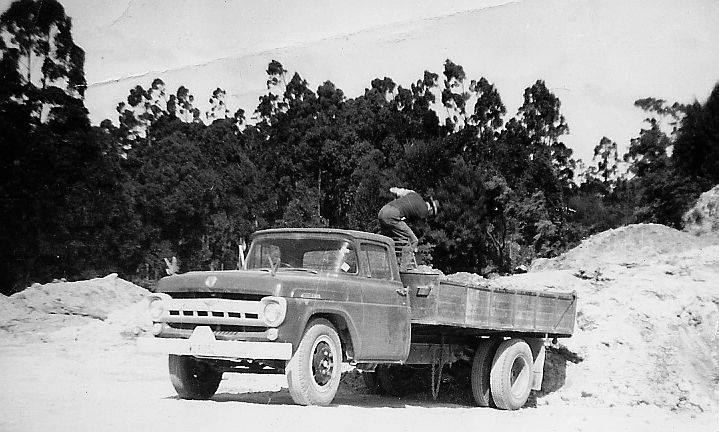 I believe they were taking gravel to improve the four miles of unsealed road to Ulverstone. To my shame I crept into a tent one day and slurped some condensed milk from an open tin. I was about seven years old at the time. It was the start of a long term addiction, though fortunately to condensed milk rather than to crime. 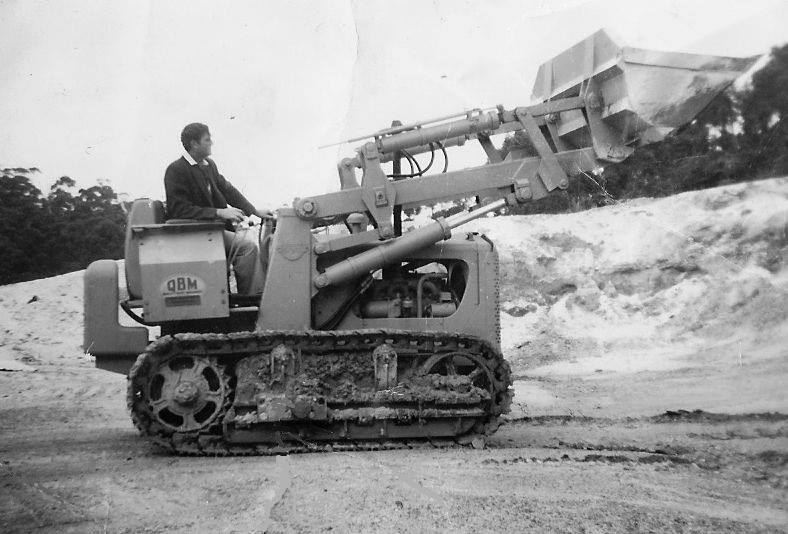 The pit contractors in the later 50s and early 60s were a Mr Jack Smith and his offsider, Ivor Harris. I remember the younger Ivor as darkly handsome. We used to tease my mother and say he was her boyfriend, which she took with her usual good humour. 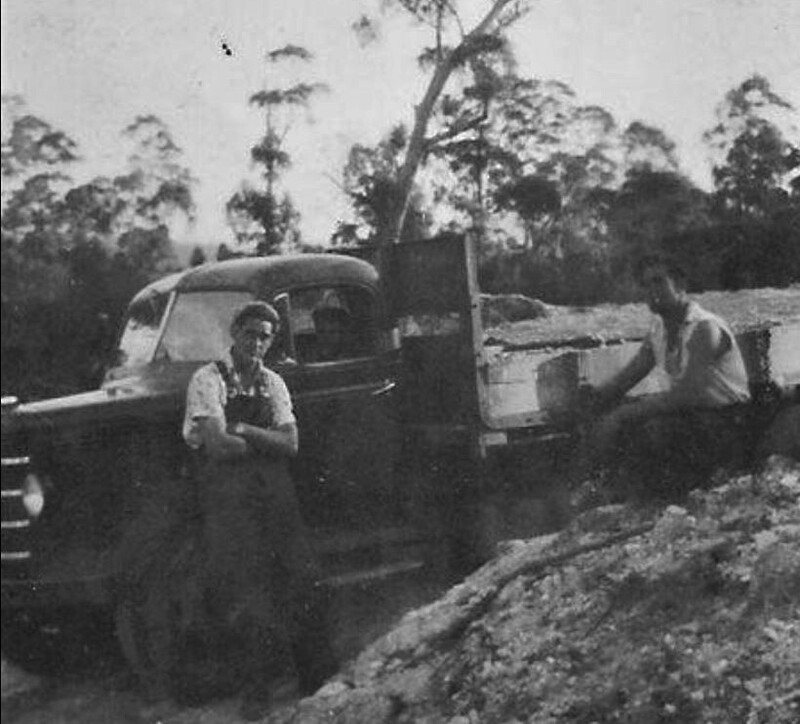 In the days before we had a car we sometimes we got a lift into town in Mr Smith’s truck. 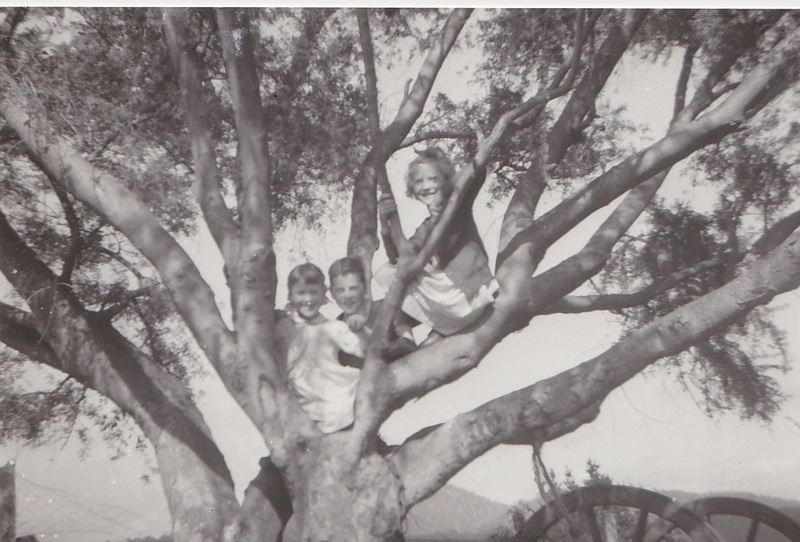 The gravel pit was a wonderful ‘adventure’ playground for me and my siblings. Plotting an escapade in the gravel pit? A favourite photo. From left, me, Laurie and Robbie. 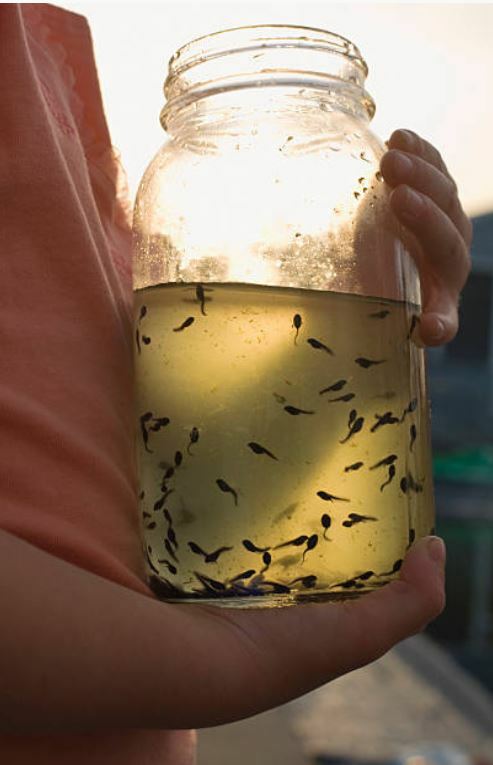 We used to catch tadpoles in the puddles and carry them home in a jar. We would hang a piece of meat over the side to feed them, which sounds very silly and disgusting. They did seem to crowd around and nibble on it though. Despite everything they managed to grow legs and hop away. 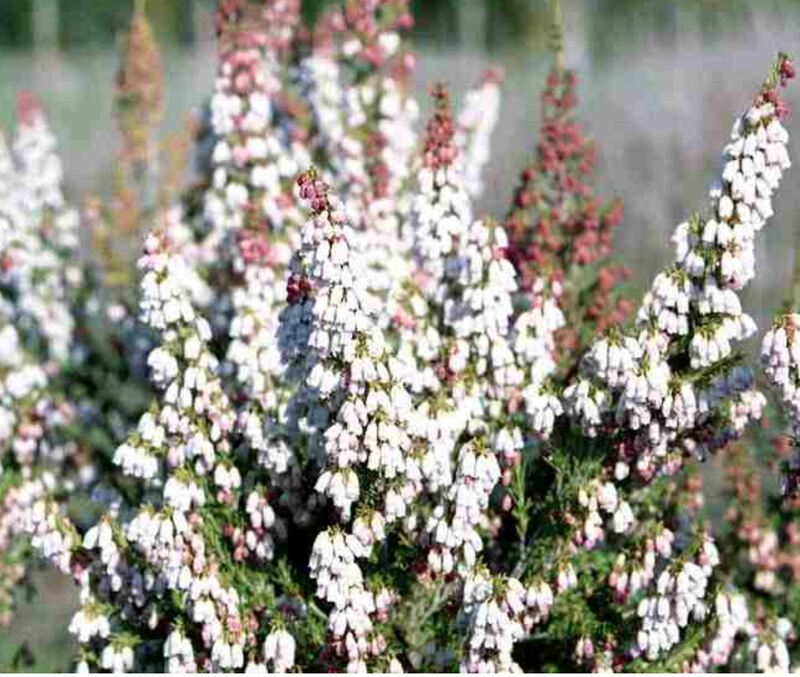 In the absence of tadpoles we might pick a bunch of wildflowers for Mum; Erica and Heath (Epacris impressa) seemed to thrive in those gravelly conditions. 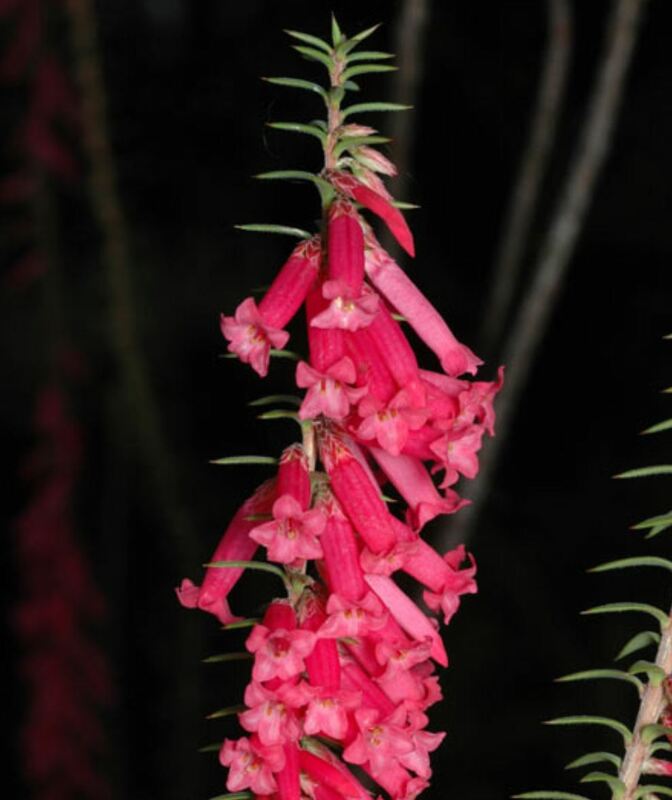 Nectar filled Australian native heath. The pit was full of interesting old bits of machinery. We got into trouble once for appropriating an inner-tube to use as a raft in an adjoining dam. I suspect dear Mr Smith informed on us. 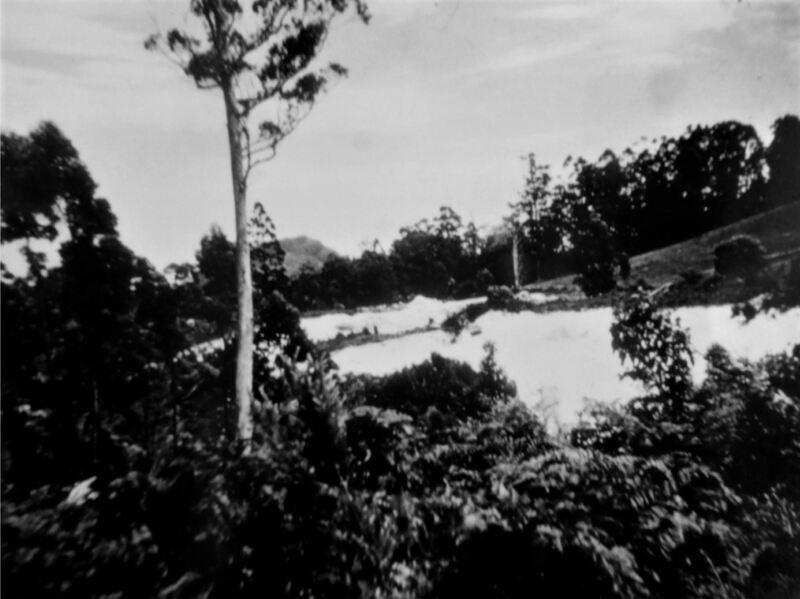 It occurs to me that the various dams were formed in old areas of gravel extraction. 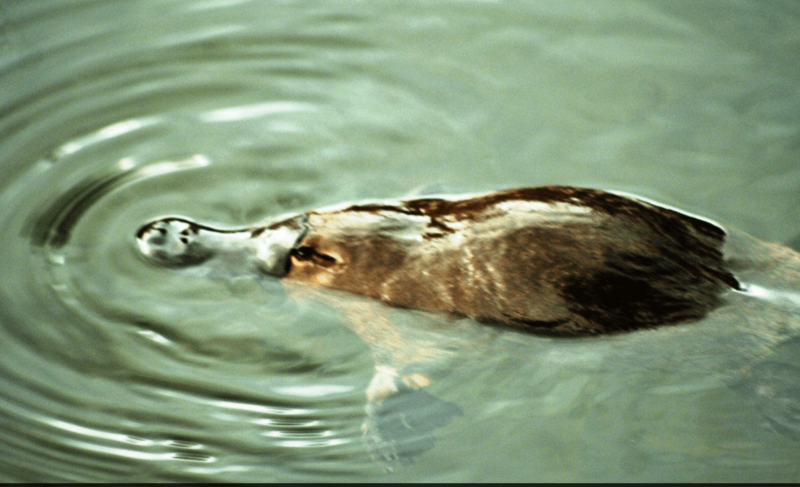 They were home to platypus and I dread to think what else. We risked our lives swimming in them, which is probably why our dear old cattle dog Laddie would try to pull us out. Once we clambered out to find a large tiger snake coiled up on our clothes. We yelled for our father, but it had slithered off by the time he arrived. My sister Robbie with Laddie. Photo courtesy of Gary Clift. Naturally my mother’s garden paths were made of gravel; well until they were ‘improved’ to concrete! What a shame that was. The backyard was also gravel, which led to a good many skinned knees when we were playing cricket etc. Far worse was the fall Mum had on my brother’s new bike. Giving in to his plea to ‘have a go’, she tried to scooter it along a slope while wearing a rather tight skirt. The wheels slipped in the stones and down she went down, badly dislocating her elbow. My worst memory of the gravel pit was connected to my father growing green beans for the cannery. By the early sixties we had an irrigation system. Sometimes we had to carry the pipes from the paddock shown below to another crop across the pit. The heavy sprinkler attachments would swing round and hit the gravel, much to Dad’s displeasure. 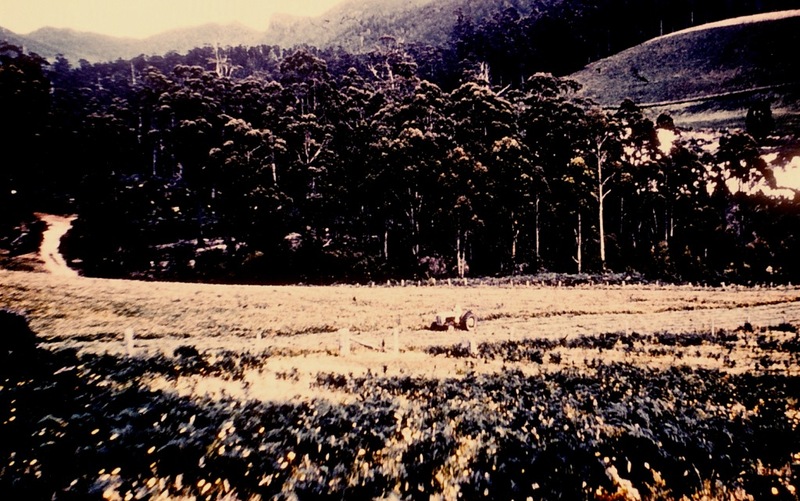 Beans almost ready to pick, circa 1963. The gravel pit is in the distance, RHS. My father misguidedly represented himself in a court action against some later contractors. He had prosecuted them for breaking the terms of their lease by not taking enough gravel. It was a fairly clear breach, which was just as well because Dad didn’t have much idea of how to conduct his case and referred to the sympathetic magistrate variously as Your Lordship, Your Worship. etc My mother and sister sat in the public gallery in a fever of anxiety. Anyway, Dad won the day. He probably had visions of himself as Rumpole of the Bailey. The gravel pit has long been out of family hands. However, the current lease-holder tell me it is still a going concern, and will be for many years to come. Ah, Condensed milk. My grandmother was said to have reared Cousin Jack, who’d been abandoned into her care, on condensed milk. My father had a Xmas special vegetable dis: parsnips mashed with condensed milk. and a special pudding: jelly mixed with condensed milk. Oh my, I’m not sure whether Cousin Jack was lucky or deprived! I’m adding your father’s Xmas parsnip dish to a story I wrote on condensed milk! It does sound better than the British affection for brussel sprouts as a Christmas dinner dish. Another enjoyable story thank you Pauline. a little adventure, but I guess parents have to be extra specially protective now days. An idyllic childhood. No child today would be able to experience this or enjoy these wonderful and simple pleasures. Mind you, I spent a lot of time longing to live in the town!